Yesterday, I posted my work outfit on Instagram, and someone said to me “Wow, that’s a really Spring-y” outfit, no? I mean, I guess! But, I don’t like putting seasonal labels on my outfits. 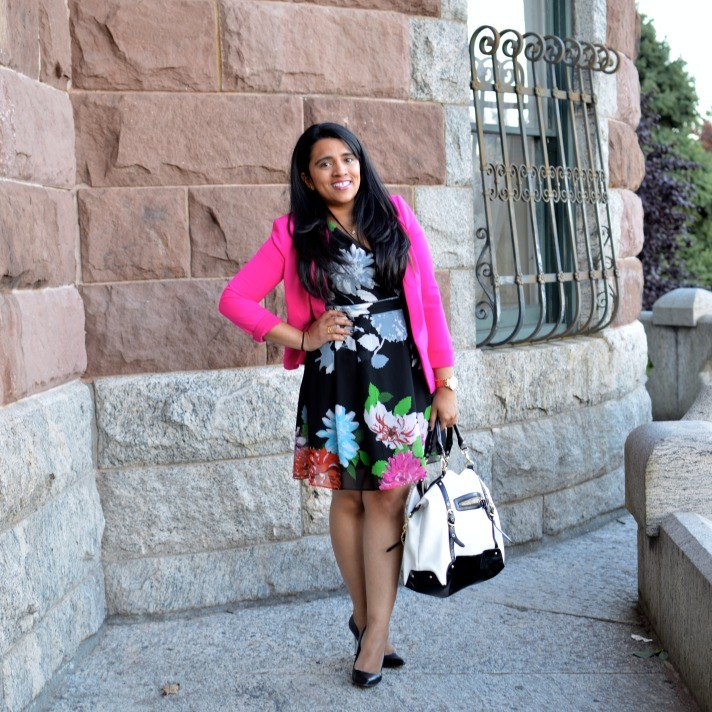 So, I wore a floral dress, and a hot pink blazer. I woke up, and I was feeling bright & cheery! For me, my outfit depends a whole lot on how I feel when I wake up. I don’t plan my outfits the night before. I probably should, because it would save me so much time. But, I just can’t. I’m sidetracking now (no surprise there)! The point I was trying to make is that you can wear a lot of your Spring/Summer pieces in the Fall, maybe even in the Winter. This is a sleeveless dress, so when it’s hot out, I wear it without anything over it. In the Fall, though, I need to add layers. So, for work today, I added this hot pink blazer! 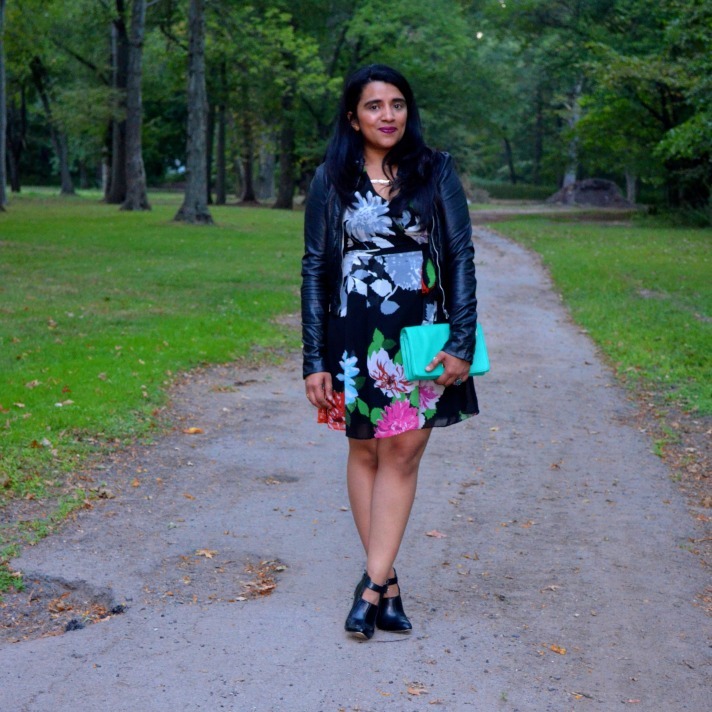 You can totally wear florals in Fall, and Winter! The great thing is that you can also make this dress super Fall-like, if you want! Just add a (faux) leather jacket, booties, and a dark lip! What about you guys? Do you segregate your clothes by season? 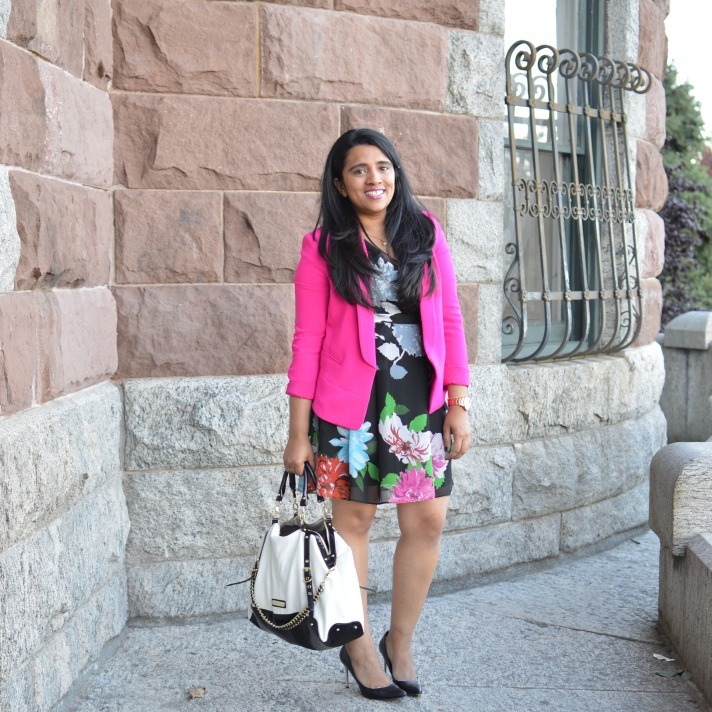 Do you wear florals in Fall? Photos by Natasha & mom.